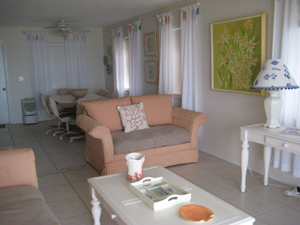 Albanese Hollander, Inc - Vacation Condo Rentals in the Daytona Beach, Florida area. 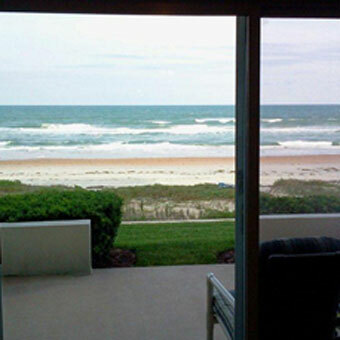 Ormond Ocean Club is an enchanting ocean front condominium in lovely Ormond Beach, FL, on a no-driving allowed section of the beach. Ormond Ocean Club offers gorgeous sunrises, serene evenings and a convenience for a central Florida get away. Convenient shopping is less than 1 mile away. Approximately a one hour drive will find you at attractions such as Disney World, Sea World, Universal Studios and the Kennedy Space Center. 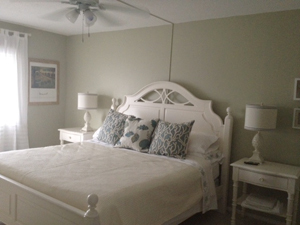 This is the perfect destination for your central Florida, Atlantic Coast vacation. Ormond Ocean Club is more than your place of choice for a beach vacation. 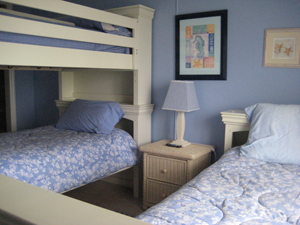 It is a place where people return year after year developing long term friendships on the family atmosphere.The layout of the Ormond Ocean Club is conducive to meet and interact with others. The pool is the heart and center of the courtyard where you are able to enjoy your new and old friends, having the beach as your background. 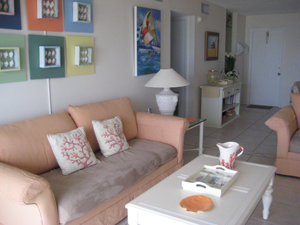 This two bed, two bath unit also has a spacious balcony overlooking the pool and Atlantic Ocean. 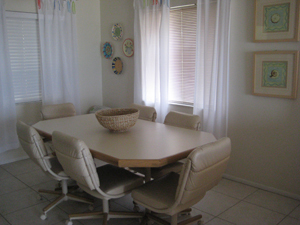 This great room makes the perfect setting to entertain or just relax with family and friends. Property manager New Smyrna Beach Daytona Beach, Daytona Shores association manager, Ponce Inlet Condo association manager, CAM manager Daytona Beach, Ormond Beach Association Manager, offsite building association manager Daytona, property management Ponce Inlet.